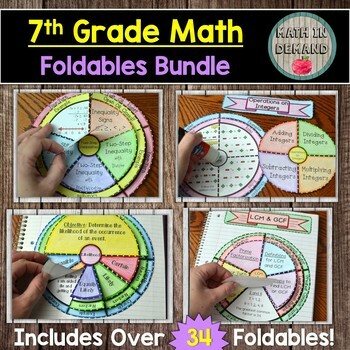 This bundle includes 35 of my 7th grade math foldables in my store. My foldables are very engaging and unique. Students can use my wheel foldables as handheld study tools or glue them in their math interactive notebook. Take advantage of this bundle! Individually the cost of the 35 foldables is over $125. The bundle cost $59.99!